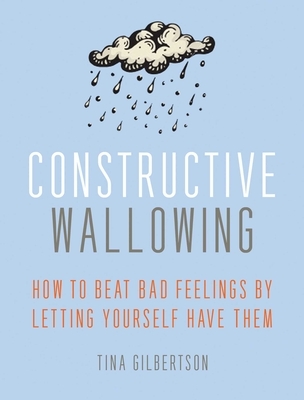 "Constructive wallowing" seems like an oxymoron. Constructive is a good thing, but wallowing is bad. Right? Almost everyone loves the idea of self-compassion -- the notion that maybe in spite of our messy emotions and questionable behavior, we really aren't all that bad. In recent years there's been an explosion of books that encourage readers to stop beating themselves up for being human, which is terrific. Unfortunately, readers who aren't interested in Buddhism or meditation have been left out in the cold. It's tempting to turn away from menacing, uncomfortable feelings like anger, grief, or regret; however, ignoring them just seems to make them stick around. By learning to accept and embrace, difficult feelings, readers keep their sense of personal power and gain greater understanding and ultimately esteem for themselves.